Experienced local drivers ensure passengers arrive safely and punctually every time with local knowledge of routes, current road works and traffic delays. All vehicles are also scheduled to arrive 10-15 minutes prior to departure to guarantee passengers arrive comfortably and promptly. Unforeseen circumstances can also greatly affect a business event. Flexibility is important to ensure events go to plan even with factors such as flight delays. Drivers and office staff are always willing to work on adjusting transfers where possible as required for your event. BusHire.co.nz offers various payment methods online for your business convenience. Some methods include Credit Card and Paypal. If this does not suit your business policies and procedures, please do not hesitate to contact our office and we will attempt to arrange something suitable for you. Please note all payments must be received in New Zealand dollars only ($). BusHire.co.nz is contactable 24/7 for our clients. If there are any issues outside of operating hours, please contact our office (0800) 661 236 and follow the emergency prompt at the recorded message. Office staff and after hours staff are experienced and trained to handle difficult situations and are eager to assist with any queries. Please note that in order for our company to offer the lowest prices, we encourage clients to use the online booking system. 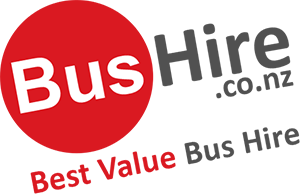 We have taken measures to assist everyone by ensuring we continue to maintain the lowest prices within the bus and coach charter industry.